If you are the owner of a small business, you might want to consider using an online bookkeeper to keep track of the financial aspect of your company. Instead of hiring an employee to work for you full-time, you can hire a bookkeeping firm to handle your books. A bookkeeper can handle many tasks that you don’t have time for or don’t understand. You can use an accounting firm such as EZCFO to help you keep your business on track. Here are some of the jobs you can have them take care of for your business. They can handle bookkeeping tasks such as paying bills and sending invoices to customers. They can keep records of all payments. They can reconcile your bank statements. They can pay quarterly taxes and prepare tax statements while finding all of the deductions where you qualify. They can create reports to show you where your business is financially. They can create reports for you to show lenders, investors, or other involved parties. They can handle your payroll and pay employees, pay benefits, and pay employee taxes. If you don’t enjoy handling financial details or if you have other things you need to spend your time on, you can benefit from using an online bookkeeper for your small business. A bookkeeper can handle the details of finances that you are not knowledgeable about, like accounting issues regarding payroll and taxes. A good bookkeeper will be up-to-date on the current accounting practices and be knowledgeable about what is accepted. If you do business with customers in another country, they will be able to help you with handling payments and understanding your recourse if they do not pay. You may have a hard time keeping up with collections for overdue bills. Some business owners don’t like to ask their customers repeatedly for payment and they hate to get harsh when they fail to do so. A good bookkeeper will handle that unpleasant task for you and do it successfully. If you’ve been paying your own bills and handling your bookkeeping, you may have bills and paperwork lying on your desk or in a shoebox somewhere. Being unorganized is the primary reason companies get behind in paying their bills. Late payments eventually leads downgrading of credit ratings, which can make it harder to get loans and credit accounts with vendors. An online bookkeeper will pay your accounts when they come due to keep you in good standing with your creditors. They will pay your quarterly taxes and keep records in order if the IRS should ever ask to see them. When you use an online bookkeeper to take care of your finances, it frees you up to work on other areas of your business. You can focus on marketing your business strategy instead of just paying bills and recording payments. 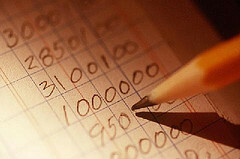 Another way an online bookkeeper is important is through leveraging their expertise to help you develop your business. They can create reports to show you how well your business is doing and what percentage of your customers pay their bills on time. They can inform you about your cash flow and if you have the finances to expand your business or get a business loan. When making decisions about your business, an online bookkeeper can provide valuable information. They can help you analyze areas for improvement and make solid business decisions based on your financial records. Bookkeeping is not something many business owners enjoy and they are often not good at it. An online bookkeeper can take over that job and keep things in order. It makes sense to use a company like EZCFO to handle this aspect of your business so you can concentrate on the other parts.